I’m thiiiiiis excited to tell you about this story – not only is it about cool, unique and stylish interiors (did I mention they’re even saving the friggin’ planet?) but it comes from Muddy Devon – a new addition to the Muddy Stilettos family (so if you’ve got any friends or rellies down that way, please spread the word). Over to you, Muddy D! OK I admit it, this isn’t some sort of optical illusion and there is no prize, but there is a bottle, I promise you. A plastic one; in fact, probably several hundred of them. 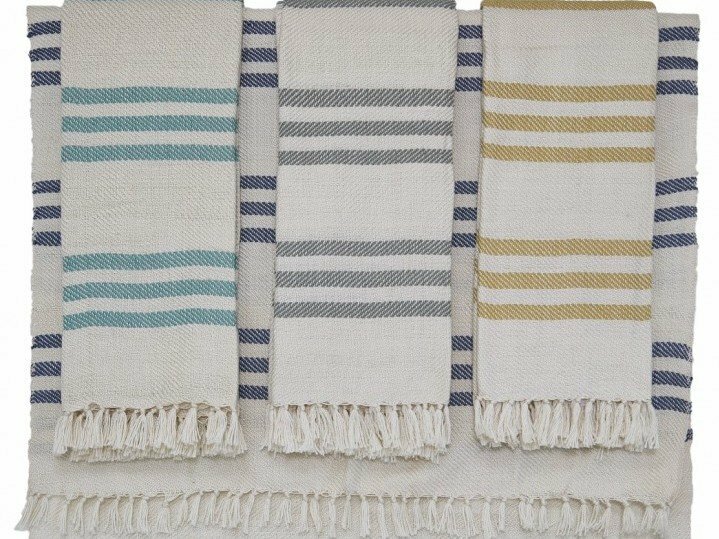 Because these little blankety beauties from Salcombe-based textile geniuses Weaver Green are all made entirely from recycled plastic bottles. Clever, no? At this time of year, you’ll usually find me pinned to the sofa next to the fire under a blanket, like a toddler attached to her favourite comforter. 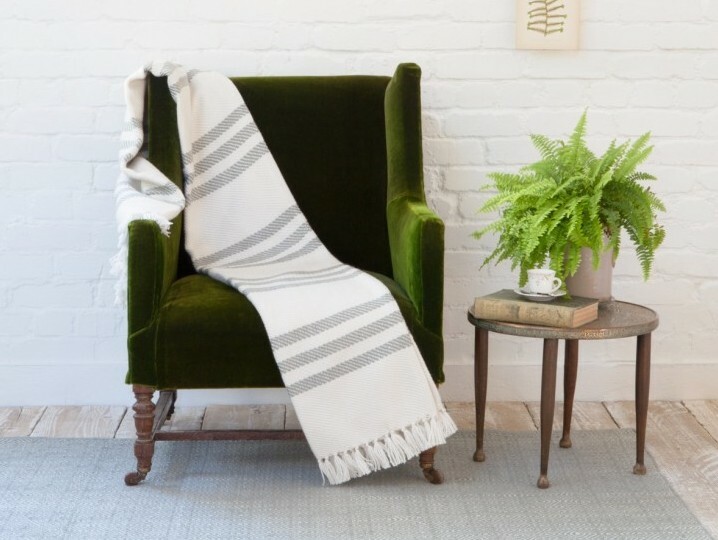 So I was overjoyed to find these for a little new year refresh, (if you can’t justify a blanket purchase in this weather, then when can you?!) which not only come in some beautiful patterns, but are soft – like surprisingly soft – warm and, *squeak*, good for the environment! Don’t ask me to explain the science in too much depth because I can’t – and I’m not sure I’d want to spoil the magic. 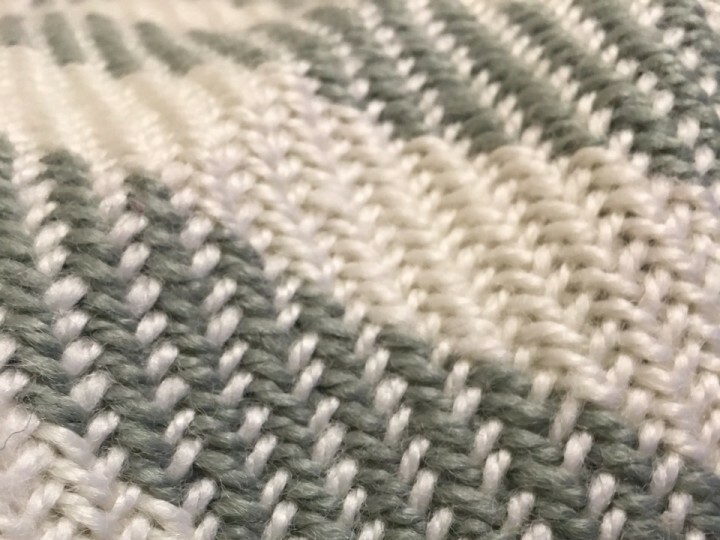 But after a little digging, I do know that some clever artisans (working under safe and fair conditions, by the way) are shredding and spinning our plastic waste into colourful yarn, weaving it into useful things that look and feel like premium wool. 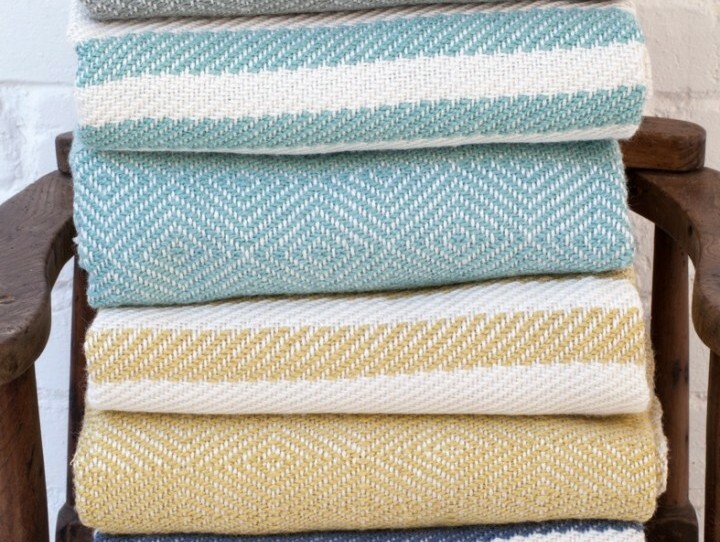 Weaver Green’s emergence on the textiles scene has been game-changing for the increasingly environmentally-conscious interiors world. 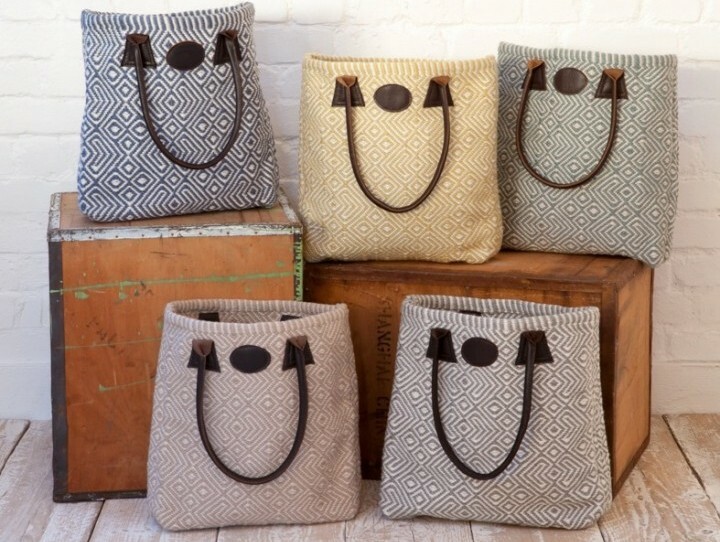 At the prestigious Top Drawer event in 2015, where they launched with an affordable range of rugs and bags, the response was one of much glee and excitement. Encouraged by the demand, the Devon-based designers realised the potential. And a year down the line, their core product range keeps getting better and better with new patterns and colourways coming thick and fast. They’ve nailed the boring practical bit too, because each piece comes with the promise of being stain resistant, machine washable and indestructible in the face of moths and dust mites, so great for allergy sufferers and serial Shiraz spillers. And, as a bit of a footnote (sorry), if you’ve spent years, like me, searching for a doormat that doesn’t say ‘wipe your feet’, ‘we’re all a bit mad here’, or ‘enter only if you brought gin’, then rejoice because the search stops here. Because the rugs are waterproof, mould resistant, UV stable, easy-to-clean and hardwearing, one of the smaller ones make for a much more stylish alternative in, or outside the door. There are 35 billion plastic bottles lying around. Do the right thing, people and win bonus style points while you’re at it; your planet needs you! What’s more, good people of Kent, all their products are available online and UK Delivery is absolutely FREE!